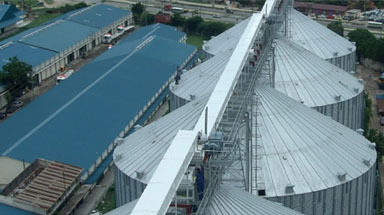 The end user for this project was an animal feed company. 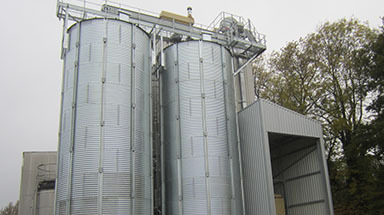 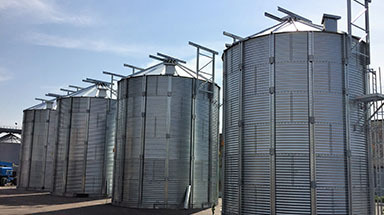 Their requirement was for storage of raw material prior to it going to the processing plant. 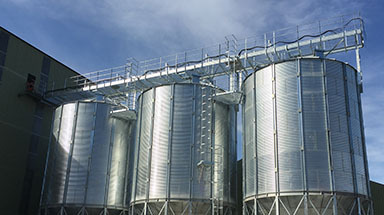 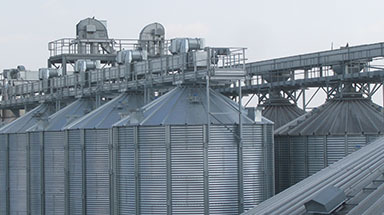 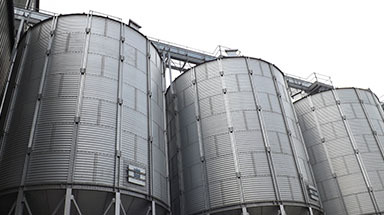 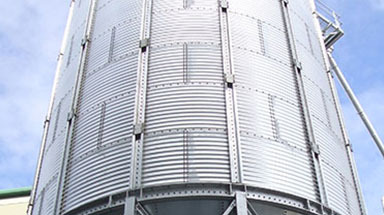 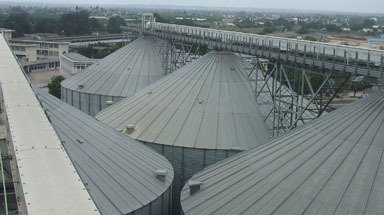 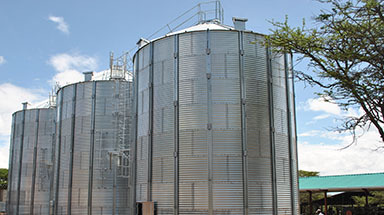 Erected was two, 5 meter diameter 10.5 ring hopper bottom silos each holding 200 tonnes and a 1.2 meter wide top catwalk. 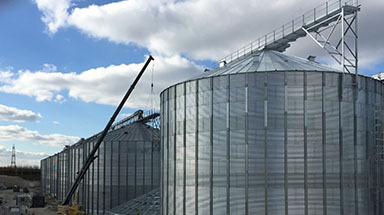 We connected the catwalk to the existing building and produced a galvanised steel stairwell to allow access for workers on-site.